Of all of the patients that need cannabis, veterans are some that need it the most. Suffering from PTSD and other after effects of the wars they’ve been in lead to some of the highest suicide rates in the country. With very limited VA medical options, our soldiers are forced to ingest Oxycontin, Xanax, Percocet, and other heavy drugs to combat their symptoms. This leads to high addiction rates among vets, showing that there needs to be another way to treat PTSD in the people who fought for our country. But finally, a bit of good news for vets hoping to have PTSD recognized as a qualification for medical marijuana. Researchers in Maryland and Arizona are on the lookout for veteran volunteers that are willing to smoke up to two joints worth of pot a day in a new study that is aimed at finding out if cannabis actually relieves the symptoms of PTSD. “We’re not arguing that cannabis is a cure but our hypothesis is that is will at least reduce symptoms,” said the study organizer Dr. Sue Sisley. The $2.2 million study was paid for by a grant from the state of Colorado to the Multidisciplinary Association for Psychedelic Studies will be conducted at Johns Hopkins University in Baltimore, Maryland as well as Sisley’s Scottsdale Research Institute in Phoenix, Arizona. More than 100 veterans have already volunteered for the study. 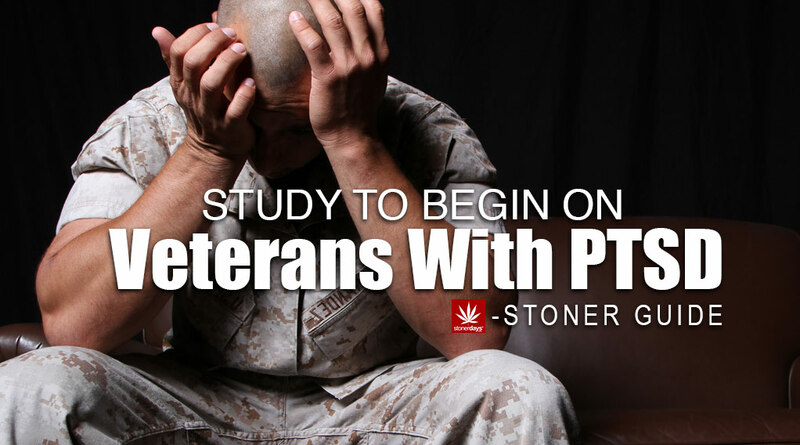 The selected participants will be the first randomized, controlled trial in the United States to objectively test cannabis as a legitimate treatment for PTSD. After the subjects undergo a two week screening and assessment process, they will be assigned to smoke one out of four types of cannabis. One will have high levels of THC, the psychoactive ingredient in cannabis. Another will have high levels of CBD, which is the suggested antidepressant in cannabis, as well as reducing anxiety. The third will be an equal balance of both CBD and THC. This is the group that the Veterans Alliance for Medical Marijuana reports is generally the favored kind of cannabis among combat veterans who are using cannabis to relieve PTSD. And the final group will be a placebo and will get no significant levels of either THC or CBD. For the first two days, the veterans will be observed for four hours after smoking to ensure that they have no negative reactions to the cannabis they’ve ingested. In addition, they will have to take a physical exam and an in-depth psychological assessment, once in the beginning of the study and again at the end. There will also be regular blood tests and other body monitoring throughout the study. But after all of that, the participants will be given their weed to smoke (up to 1.8 grams a day). They will be able to smoke as much as they want within that limit, although electronic vapes cannot be used. The participants will also be given an iPad to track their use, both writing about the experience and providing a video journal. They will also wear a watch designed to track their sleep patterns. After the three weeks is up, there will be a two week washout period in which the vets will not smoke at all and then begins the next set of tests and assessments. At the end, they will be asked if they will continue to use medical marijuana or if they will find another method of treatment for their symptoms. If this trial is a success, officials at the California based Multidisciplinary Association for Psychedelic Studies (MAPS) says they intend to seek use of smoking botanical cannabis as a federally approved prescription drug. 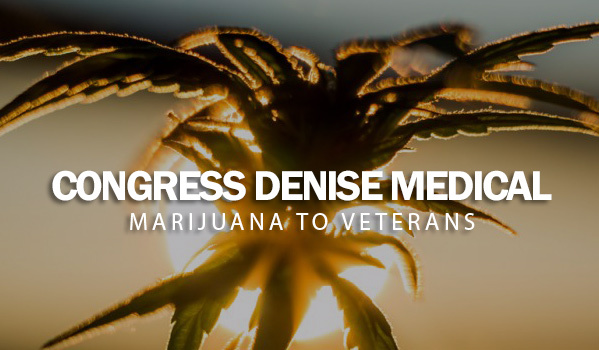 Congress simply refuses to give in on the issue of allowing American veterans safe access to medical marijuana. Earlier this week, the House of Representatives gathered on Capitol Hill to hash out the details of an amendment to the Military Construction and Veterans Affairs Appropriations Bill, which would have allowed physicians working with the Veterans Administration to recommend medical marijuana to their patients. Unfortunately, while most Democrats stood in support of the proposal, aimed at preventing VA funds from being used to support a prohibitionary stance, the opposing forces of the Republican majority were enough to ensure the amendment had no chance of making it out alive. The measure failed in a vote of 213-210. Representative Earl Blumenauer of Oregon, the lawmaker who introduced the amendment, said he was disheartened by the congressional decision. Although the measure would have allowed VA physicians to discuss marijuana as a potential treatment option, he explained, it would not have given them the authority to write prescriptions for the herb. The goal of the amendment was to simply allow veterans and the doctors overseeing their care to work together in determining whether medical marijuana could be used as an alternative to prescription medication. Although 23 states and the District of Columbia have legalized medical marijuana programs, veterans living in those areas are restricted from participating because federal law prevents physicians working at the VA from even discussing the possibility of cannabis as a treatment option, much less offer a recommendation. A favorable congressional vote, however, would have at least opened up the issue for debate, benefiting thousands of veterans. The latest statistics from the Veterans Administration find that 30 percent of the men and women who served in Afghanistan and Iraq suffer from post-traumatic stress disorder and severe depression—two common afflictions for which medical marijuana has been found to effectively alleviate symptoms. Yet, the Republicans who opposed Blumenauer’s amendment argued that there is not enough evidence to suggest that marijuana has any medicinal benefit at all. Optimistically speaking, marijuana advocates believe that since the amendment failed by such a narrow vote, there is a distinct possibility it could pass if it reaches the House again next year. “While it’s disappointing that the House just voted to continue a senseless rule that prevents doctors from treating military veterans with a medicine proven to work for a number of serious conditions, the fact that we came so close is a good sign of things to come,” Tom Angell, chairman of Marijuana Majority, said in a statement.